Data Thinker (D-thinker) is a system from our own independent research and development. It can run most programs in parallel to extend data processing ability of programs. D-thinker can run well both on supercomputers and x86 PC servers. Its cost-performance is obvious. The simple programimg model reduces the cost of developing and maintaining programs. 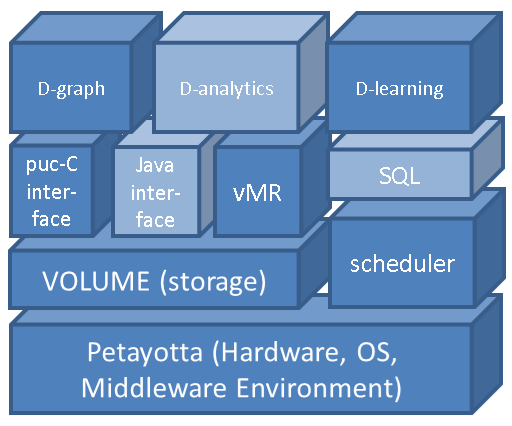 D-thinker is a big data processing system tailored for enterprises. Data Thinker supports a wide spectrum of applications, including real-time, interactive and OLTP workloads. We also build a data cloud platform and aim to make large-scale data storage and supercomputing capability available to every individual and organization. 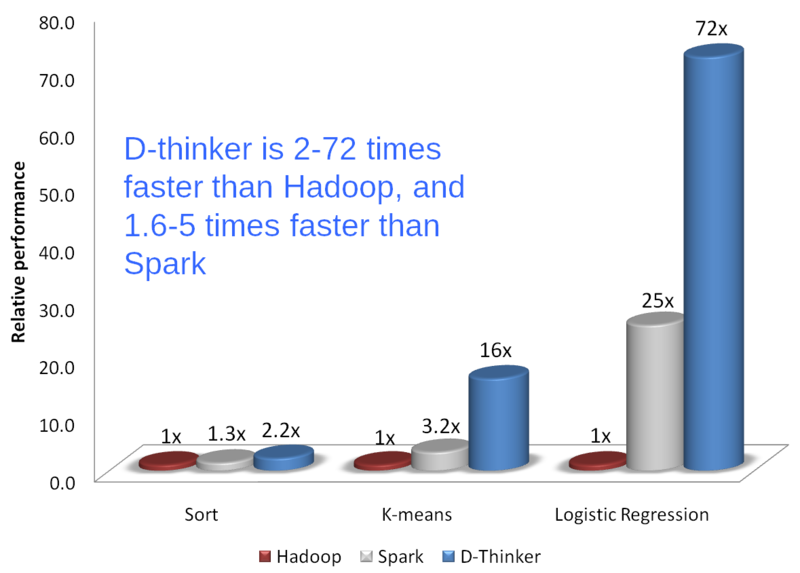 Results of benchmarks comparing performance of Data Thinker, Spark and Hadoop show that Data Thinker is the fastest big data technology in the world today. Read more about D-thinker on D-thinker Website.